The throw-back Thursday recipe post is back! I know some of you have missed it and to tell you the truth, so have I. I really enjoy making these recipes and I enjoy remembering the story behind them as well. Today's recipe comes from my husband. When we were dating 12 years ago, he decided to try and impress me with his baking ability. At that time his cooking abilities were just ok at best and so I was a little leery of him cooking me anything. 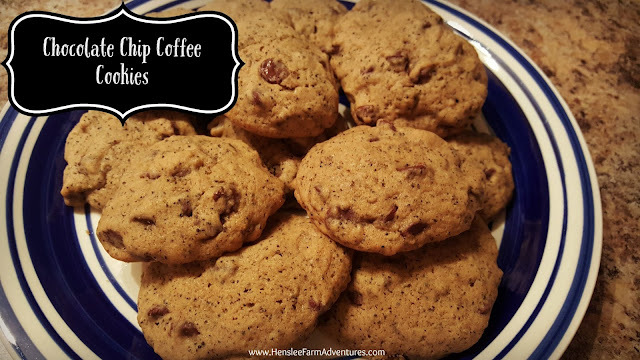 He went through several recipes and instead of sticking with one (which I thought he should do), he combined several recipes together to make chocolate chip coffee cookies, because he knew I loved chocolate and coffee. I can admit know that I was worried about tasting them when they were done. But boy did he surprise me! He made the most wonderful cookies. One bite and I was hooked...on the cookie and the man! I thought I would share that recipe with you today and hope you enjoy it as much as we do. He still makes them for me, in fact he really wanted to make them for this post, but I asked if I could try my hand at it. While these cookies turned out really good, I think I should have let him make them. He definitely has that special touch. So let me say a little something about the ingredients. It calls for instant coffee. I normally have instant coffee at home. Not to drink of course, blech, but to use in various recipes. Of course when I went to retrieve it, I found out that I was out. So I decided to try it with regular coffee, but still follow the instructions. THEN I found out that my husband just makes extra strong coffee and uses that! Geez! I wish I would have known. So in the coming pictures you are going to see coffee grounds in the cookies. Guess what? It ain't so bad! 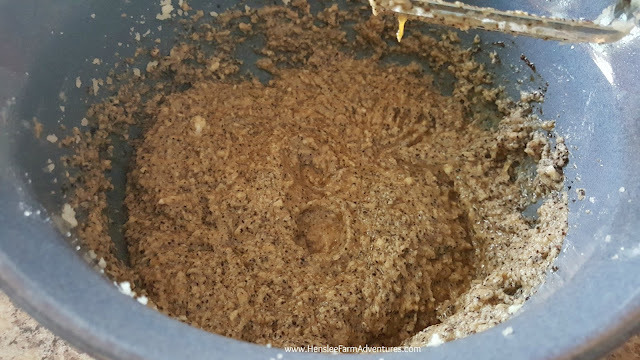 First you want to dissolve 1/3 cup of instant coffee in 2 tablespoons of hot water. Then while it is dissolving (and cooling at the same time), cream together 1 cup of butter and 1 1/4 cups of sugar. 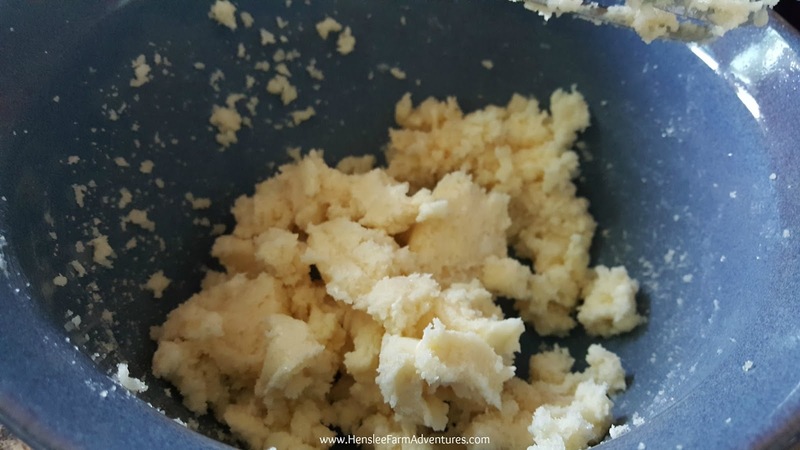 Once the coffee has cooled, add it to the butter and sugar mixture along with 2 eggs and 1 teaspoon of vanilla and mix well. Then in a separate bowl, mix together 2 2/3 cups of flour, 3/4 teaspoon of baking soda, and 1/2 teaspoon of salt. Add that to the coffee ground mixture. Once you have that mixed well. 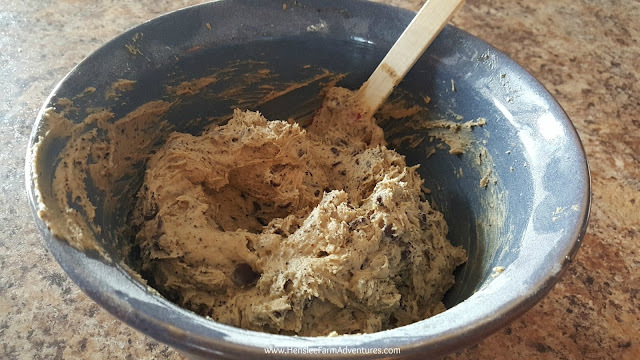 Add in 2 cups or one 12 ounce bag of chocolate chips. 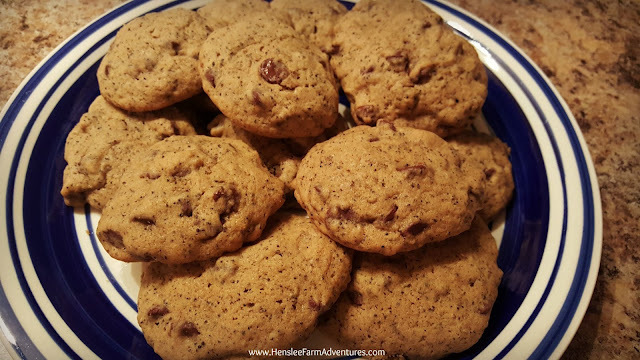 Drop by spoonfuls onto a greased cookie sheet, or in my case a parchment lined cookie sheet and bake at 350°F for 10-12 minutes or until golden brown. 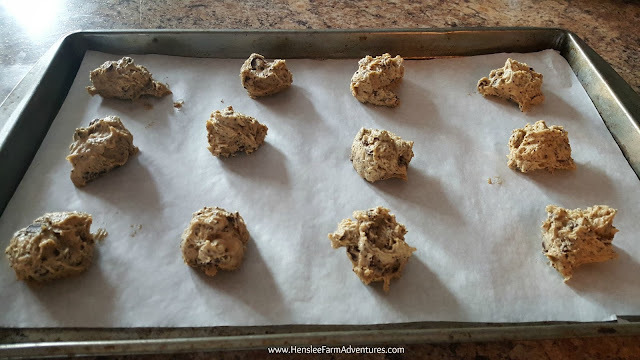 Once they are done, let them cool on the cookie sheet for a couple of minutes before transferring them to a cooling rack. 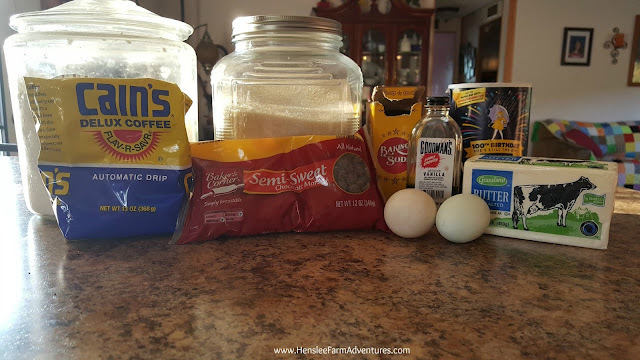 If you want a printable version of the recipe, then click HERE. Try this recipe out and let me know in the comments below what you think.